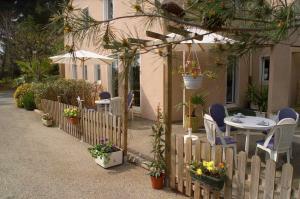 The Stars hotel is located in the suburbs of Antibes, 4 km from the beach and port. It offers air-conditioned guest rooms, each with a private bathroom and satellite TV. The Stars Antibes offers free Wi-Fi access and guests can enjoy a buffet breakfast on the hotel’s shaded terrace. The hotel bar also provides light meals for lunch and a variety of refreshing beverages. The hotel is situated 1 km from the A8/E80 motorway and free parking is provided. Guests of the Stars Antibes can access Juan-les-Pins’s beaches in 12 minutes and central Cannes in 15 minutes by car. Please note payment is required upon arrival.